That’s really ironic because that is what a few (unreliable) witnesses say. Is it possible? We all know what the IG thinks the data tells us but is there another side to it? Is there an alternative meaning to the what the data represents? What is the formula used to determine the BTO based on? How do they know that the SDU couldn’t have been hacked or spoofed or even malfunctioned. How do they know with confidence that there was no latency in the signal transmissions? I just don’t think that if a remote control system that can override the pilot’s commands were installed into an aircraft, that system could be disactived as easily as switching the satcom off. @Marc, My eyes rolled so hard they’re in traction. until the only method of fuition was being sneaked out to the public domain. Not exactly a credible process. Analytical steps determining the sim data value were skipped in this regard. Additionally, spoofed data and sim data are part and parcel in consideration. If the data was altered, incriminating Captain Zaharie’s simulator would be integral to the plan. I don’t expect this post to survive your moderation. Your comment above is simply not true. The recent Jean-Luc et. al. paper flies in the face of your understanding. There are many areas that satisfy the Inmarsat data that have not been searched. Sorry, I don’t know what you mean, but that doesn’t sound good. I only used to fly C172 planes in VFR when I still had some money, but some captains here may need to learn to have some humility. OK, that’s my last post here and I will not come here again to disturb your eyes. Good luck to find 9M-MRO. Whilst the idea of a 100% ground based hack is cognitively interesting it’s also adding an extra layer of complexity after after all the 9M-MRO hijack worked (if it was a hijack!). Also if a ground based hack worked then I would expect that 9M-MRO wouldn’t be the first or last of these. I would contend that traditional ‘reliable’ techniques such as maximum surprise where it’s least expected (red eye flight) would be more likely to work. BTW @Peter Norton I think your work on the Rolls Royce stencils was excellent. @SteveBarrat: Thank you for the stencils feedback. Did anyone have any luck in contacting Farid Manap concerning his photograph ? Maybe those who have already contacted him via jetphotos could resend their message to his yahoo address (or contact him via yahoo messenger) ? @Marc: You sure got a not very factual response. But don’t let that offend you. It would be sad to leave just for that. It’s a bit like hiding an Easter egg somewhere in the woods and hoping it will be found unharmed 10 years later. At any rate certainly less complex than the extremely sophisticated (and IMO excellent) spoofing theory. And to be honest: At the point where we are now, can you name a single “uncomplex” scenario able to explain e.g. the SDU shutdown, SDU re-logon, the inexplicable flight path, and all the rest of the weird stuff going on during the flight ? – AND sufficiently erudite to tamper with the SDU etc. – AND mentally strong enough to kill 239 people (besides themselves) without getting unconcentrated in the process. I could name 100 examples of what could go wrong. @Peter Norton, I’ve posted about this here before, but anyone who has the inclination should read Operation Mincemeat by Ben Macintyre–or to save time, the wikipedia entry. I am not necessarily in disagreement with you in re the sim, but what’s remarkable in the Mincemeat story is the lengths to which the British secret service would go to to fabricate the details of a nonexistent life, attach them to the corpse of a tramp, and dump it all via submarine in the ocean off the coast of Spain, where astonishingly the corpse (supposed to be a body from a crashed plane) was recovered by fisherman who eventually passed papers found on the body to the German Abwehr, successfully convincing them the invasion of Italy would take place via Sardinia and Greece, not Sicily. The idea of writing data points to a hard drive, overwriting most but leaving some with an incomplete scrub and allowing it to filter into an evidentiary trail seems an obvious ploy when you compare it to the remarkable fabrications, details, feints, and other tricks state intelligence agencies seem to use. Remember, those specific sim data points didn’t need to remain–just some that pointed to a similar path so that they could reinforce a particular theory among those predisposed to it. @Peter Norton, A remote hijack is one of the more easily dismissable theories; the plane was out of contact from 17:21 until 18:25, and after that no signals were transmitted which could be interpreted as sending intructions to the uninteruptible autopilot, which anyway is itself a crackpot idea. This kind of talk is exactly the kind of counterproductive fog generation that it’s my job as a moderator to prevent. In short, please no more of this. As to the idea of the flight sim data being planted, I would say the that evidence runs strongly counter to that. If one earnestly wanted to frame Zaharie, one would plant data that unambiguously indicted him–the kind of data that was found, for instance, on Andreas Lubitz’s computers. Instead, there is nothing apart from the flight sim that in any way incriminates Zaharie, and the more closely you look at the flight sim data, the more ambiguous it looks. Taken in context, the mostly likely explanation for the flight sim data is that it was a remarkable coincidence. I understand not liking coincidences; however, if Zaharie is the culprit then many more remarkable coincidences would have to have occurred, not least the inadvertant reboot of the SDU (and the coincidence of its timing immediately after the last radar return) and the fact that the BTO data just happened to look like a straight, fast run when it was actually something else. I completely agree with you re flight sim data, Lubitz, etc. Thank you for the interesting reading. I think you make a good point. I just wanted to point out that whoever framed Z had to bet on Malaysia, the country who has botched almost everything during the investigation, to conduct a extremely sophisticated FBI-level crime scene investigation. @DennisW, I don’t know who that is. Well this supposed that the plane would actually have been crashed. If the plane was landed without being crashed (which seems possible given that no wreckage has been found that undisputably proves a fatal crash) then it would suffice to find people able to hijack the plane and either land it on an airfield, land it via autoland, or glide it into the ocean – I want to propose the idea that f ex the Ukrainians could have water landed the plane somewhere on the ocean (f ex the SIO if we want to stick with it) to be retrieved by a ship. As for the remote control idea, I give it to you that it is theoretically possible that such a system exists, and that it is being hacked. However, all the caveats that I outlined in my earlier posts apply. It seems highly (unnecessarily) complex/expensive, would probably still require on-board physical support thus posing the question of why to use an additional remote control component if you could just abduct the plane with the physical hijackers that you will need anyway. Basically, remote control is an appealing idea but it will at best be an addendum. The real question(s) are, if the plane was abducted, where was it brought? And why was it chosen? Frankly, the more I think about it, the more appealing I find jw’s Baikonour idea – it answers how hijackers were found (“you just need to take over, type in the waypoints, and at the end you can autoland “). It also answers why there has been no debris and no wreckage found by the search efforts. The only thing obviously is how to spoof the sat data, but at most this requires a physical asset in the SIO, plane or ship, and this scenario nicely explains the unusual switch off /on of the SDU. @Peter Norton, Do you honestly think that neither Boeing nor Malaysia Airlines would know what equipment was installed in the plane? Do you think that this process could be initiated via an Inmarsat satellite with no signals transmitted that could be recognized as such? 1) It’s not an “idea”, it’s a technology existing for decades, as cited above. 2a) After 18:25 there was no need for any transmitted control signals as no manoeuvring took place AFAWK. 2b) Between 17:21 – 18:25 the flight path could either have been preprogrammed (see above) or remotely controlled via another satellite than 3F1 (see above) or remotely controlled via another form of communication (e.g. via a drone). @Peter Norton, The technology did not exist on this plane. Period. Ergo, not possible. @Havelock, Victor Iannello developed a fairly simple way to spoof the BFO data from inside the plane; it involves changing a single parameter in the SDU, which can be accessed from the passenger compartment. So, no need for ships or planes in the SIO. I’d say Boeing obviously knows whether a Boeing-Honeywell UAP is installed on its planes. They build them. And the system is way to complex (as it has to be integrated with the all the onboard systems) for anyone else but Boeing to install it. As far as I know, the BHUAP was never officially rolled-out, so IF they installed this system, Boeing must have done so in secret. I would therefore conclude that IF that took place, it must have taken place without the carriers’ knowledge or otherwise it would surely have leaked sooner or later. b) there are safeguards against unauthorized access to their satellites and we can only guess how easy or tough they are to breach. So I guess it would be difficult to use an Inmarsat satellite for RC and even more difficult to do so without being detected. Therefore I suggested other forms of communications in my previous posting (point 2b). @Peter Norton, So Boeing installs this piece of equipment that lets the plane be taken over remotely by the authorities to prevent the plane from being flown dangerously by pilots, but doesn’t tell either the authorities or the operator, and after a plane with this equipment went missing, lied about it to investigators? If you’re going to go this deep into conspiracy theory, how about a much simpler one: MH370 never happened at all. The whole thing is a hoax, like the moon landing and Sandy Hook and the so-called curvature of the earth. I asked you twice how you know that, but you never gave an answer. The technology exists for decades and was demonstrated in 1984 (30 years before MH370’s disappearance). How do you know that it was not used in 2014 ? @Peter Norton, You asked how I know that the technology did not exist on the plane. The answer is that the plane was built by Boeing, and Boeing was part of the advisory board to the investigation. So for what you’re saying to be true, there has to be a conspiracy involving Boeing. @Peter Norton: Sure, it is possible to design a system that permits remote control of an airplane. The question is whether such a system has been or could be fitted legally to an airplane used for public transport. None of your sensational newpaper articles unequivocally states that Boeing has admitted to installing such system an any airplane delivered to a customer. It would be illegal for Boeing to install such a system on any airliner without going through a formal approval process. – No airplane can be legally operated unless it has a valid Certificate of Airworthiness. – No Transport Category airplane can obtain a certificate of airworthiness unless it has been manufactured in accordance with an approved Type Design. The airplane manufacturer obtains a Type Certificate only after he has demonstrated that the type design meets all applicable airworthiness requirements. Any subsequent change to the airplane without prior approval invalidates the certificate of airworthiness. – Current airworthiness regulations do not contain provisions that would allow fitment of a remotely controlled system to an airplane used in public transport. Developing a regulatory basis for approval of such systems would require a formal Notice of Proposed Rule Making that provides for public participation. There is absolutely no way an “uninterruptible AP” system could be legally installed in a public transport airplane. Look, Jeff, I think I can offer some possible explanations but I don’t have answers for everything. In my opinion we should look into possible explanations together, collectively. Only together we can complete the puzzle. To answer your question, one possible explanation for keeping the BHUAP secret is the possible stance that this would defeat its purpose (just as it’s not disclosed whether air marshals are onboard a flight or not). I’m not saying that is the true reason, just a possibility. But think for a minute of how much stuff is being kept secret “for security reasons” or “for national security”. I heard that millions of times in my lifetime. It wouldn’t be unimaginable that this security measure was kept secret in the wake of 9/11. The SIO is not like the Hudson. How many successful ocean ditchings do you know of ? – I think money is not the issue here. – Why would you need physical hijackers in a remote hijacking ?? Good point. Well, I wouldn’t call it a conspiracy. Just secrecy. Much like many neighbouring countries kept the information secret, whether or not they have detected MH370 on radar. Some information is kept secret for national security. Maybe Boeing had to sign a non-disclosure agreement with the US gov ? I believe I remember a handful of other (in my view benign) information which Boeing and RR were not willing to share in the course of this investigation. Possibly for commercial reasons. @Gysbreght: Many thanks for your insightful posting. Let me think about it for one moment. OK Gysbreght, your arguments are to the point and have convinced me. Seeing it from this perspective, it’s difficult to imagine how the BHUAP could have been installed. I assume you would grade this as impossible, correct ? @Gysbreght, Nicely put, thank you. The short answer is yes. I think the journalist has built a story on a tidbit of information that he didn’t understand. I think what happened is that Lufthansa was not happy with a particular feature of the flight director and requested a change. Yes, a change of the “Type Design” of equipment is expensive and would probably have cost Lufthansa a lot of money to get it implemented. A flight director is not an autopilot. It is an indication on the PFD (Primary Flight Diisplay) that shows the pitch and roll commands that the autopilot is executing if engaged or, if the autopiulot is not engaged, that the pilot must give through the control column and control wheel to achieve the selected path. I would grade references to “American remote-control” and “German systems programmed by the Luftwaffe [German Air Force]” as BS. Thank you both for engaging in this discussion. 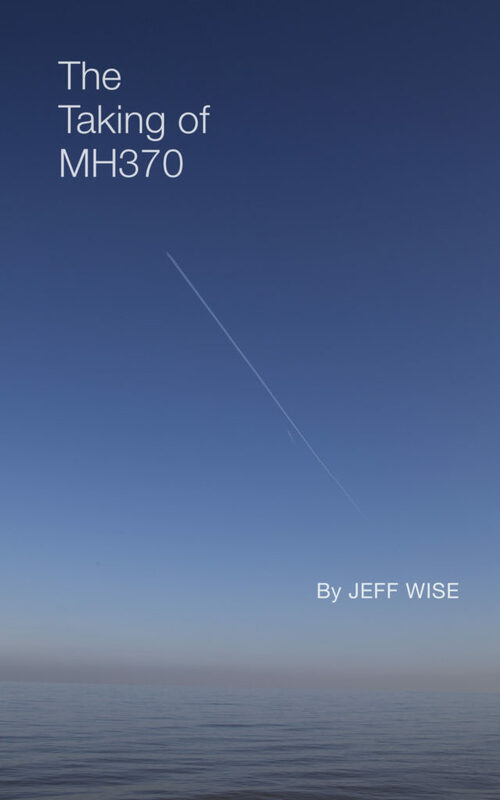 @Gysbreght, your nuts-and-bolts insights, and @Jeff, your good questions as journalist have advanced the state of knowledge on this popular MH370 theory. – It’s very hard to see how the BHUAP could have been installed on MH370. – Therefore, if MH370 was remotely controlled / cyber-hijacked, it would have had to be done via another attack vector (not BHUAP). Seeing where the discussion has led, the likelihood of either possibility doesn’t seem too promising. And I don’t have any other facts to present on top of what I already laid out so far. So unless new facts emerge, I will rest my case. I think your supposition in the paragraph is dead on in terms of one very concrete reason for such a hijacking-a statement of capabilities. I believe Jeff asserted this early on and in his book. A flight with so few Americans on it feeds into that idea. If the Americans saw a Russian exploit kill many of their citizens, the response could be of a very different order than one that killed the citizens of other countries. I think a second could be specific to the corruption leading to the siphoning off of the Malaysian sovereign fund. If you believe that Russia is an oligarchy, run by the mob with the Kremlin essentially functioning as its muscle, and if those oligarchs put a lot of money into the fund, only to see it disappear, taking a Malaysia plane is a state-level version of an enforce breaking knee caps in support of the money’s return, which in fact has happened. Finally, regarding your third paragraph, as we do not know where the plane went, it’s certainly possible that the perpetrators are safe on the ground. But even if we were to learn that MH370 is at the bottom of the SIO, there’s no reason those same perps couldn’t have abandoned the flight in some fashion somewhere along its journey in a way that was safer than an exit into the engine’s fan blades-say at low altitude and in a portion of the sea that is heavily enough trafficked not to draw attention to a S&R op-say like the Malacca Strait. Jeff, after my prior contributions and especially my last posting, you put me on manual moderation ? @Scott O: That was Havelock, not me. @buyerninety: That’s completely irrelevant. Content must be evaluated solely based on its merits, not based on ad-hominem arguments. At the risk of being barked off the site, but still curious enough to want to ask about the potential for remote operation, do we need to suppose the only method of navigation would be BHUAP? Just as we imagine some sort of patch device brought onto the aircraft communicated false data to Inmarsat, could not a device be carried on and used to direct a flight path? While I can’t fully explain the interface to the flight computer or controls themselves, its external connection to the outside world need be nothing more than the kind of GPS receiver you’d use hiking or find on your phone, which has accuracy to about one meter. The reason I can’t quite let this idea go, is what so many think of as the potential context: a Russian operation to show the West what it is capable of in asymmetrical warfare. To only be able to do this once–or to do it only with a corps of special forces people on a suicide mission (not the type to normally martyr themselves) just doesn’t square with me. That’s not to say a group of operatives isn’t smart enough to fly a jet (special forces people are usually chosen as much for their intelligence as their tenacity and physical ability); it’s the landings I wonder about. But to have several dozen operatives execute this maneuver at a predetermined and coordinated time and bail out after installing a navigational device, is a very different thing. @Jeff–with respect to the sim data and how complete the hijackers would want it to be: I think it pays to keep in mind the sort of disinformation the Russians have deployed in recent years and most especially what we see uncovered as the special counsel investigation unfolds. The Russians have clearly concluded that a straight line or obvious solution isn’t nearly as effective as sowing the truth with just enough confusion to make every doubt ALL aspects of an investigation. So sorry, PN, and Havelock, please see my post at 2:45. @Scott O., I think having a patch brought on board is eminently reasonable, but I think there has to be humans aboard the plane to install and turn it on. The very short gap between “Good night, MH370” and the vanishing imply someone on hand closely monitoring the situation. I also think that if there was somehow some piece of equipment installed before the flight, with no one on board to protect it, it would be hard to ensure that the flight crew wouldn’t find and disable it. Finally, it would have to do so many things–fly the plane, turn off and on various subsystems–that it would have to be a very complex system. However, to your final point, I think you’ve hit upon something quite germane. The classic Russian m.o. since 2014 is the generation of multiple narratives to create an enveloping fog. This is certainly the case in MH370. Unfortunately the media has played right along. Just today The Guardian ran a piece enumerating the so-called “theories” that its author claims are currently at large. If nothing else, the hybrid war has laid bare the Western media’s lackluster ability to assimilate and assess complex information. You raise some interesting points from multiple postings ago which probably have been better answered by @Havelock and @Jeff Wise. Yes a conventional hijack is complex enough and I agree with you that a 100 things could go wrong with it. But a ground based hijacking seems to me to introduce a whole new level of complexity. I’m not even sure if its possible (@Havelock). You make an interesting point about the hijackers. One assumes they are dead. Possibly they were unaware of their true fate as per 9/11. Passengers on these planes were lied to as they expecting it was a conventional hijack/landing/negotiation etc (the exception is United Flight 93). I agree with all the points about Captain Zaharie’s HDD and the effort required to fudge a flight path over the SIO. We make the assumption of course that it’s his drive with his data. Without him being alive to corroborate the flight paths its all speculative. Though as @Jeff Wise points out the data could be genuine but a pure coincidence (not a smoking gun). Return to reality, guys. There were over two hundred people on that plane. By the time it turned around, all of them were dead. It wasn’t technology that killed them. Someone was in control, you just don’t know who. via wiki to be without merit. • March 08: MH370 disappears, the biggest mystery of aviation. • March 17: A young Inmarsat satellite technician dies of alleged heart attack. has been found to date. • March 20: Inmarsat receives a US General as Director. Hangar 2 in Subang – das 1. Mal in seinem über 30-jährigen Bestehen. 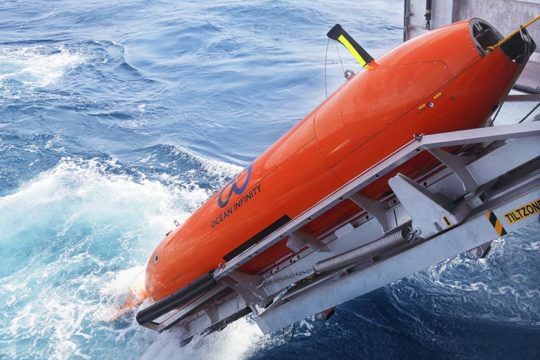 mit dem Verschwinden von MH370 zu vernichten ? • 08.März: MH370 verschwindet, das größte Rätsel der Luftfahrt. von der Nord- auf die Südhalbkugel verlegt, wo man bis heute nichts fand. • 20.März: Inmarsat bekommt einen US-General als Direktor beigestellt. I have a couple of basic questions that may or may not have been covered ad nauseam already. If my query doesn’t meet the criteria to be posted I totally understand. I have watched these conversations on a fairly regular basis over the past four years. My questions are fairly simple I think. And they relate to the already beaten to death flight simulator data. So here goes. If they assembled flight simulator data from all the pilots that may use flight simulators at home, that fly in that related Corridor Malaysia/China. And say assembled a number of 100 or more pilots that use flight simulators (though I have no idea how many the Number could actually be), and they looked for similarities to Captain Shahs flight simulator path, that so closely resembles at least to a point the actual flight itself. (even if it couldn’t be determined whether the complete path was a series of different flights with similar waypoints or whatever). What would be the probability that any of the other Pilots simulators had a path that was so similar. Specifically the turn back down the straight and as far as they could determine to the Indian Ocean. If say they found a hundred other Pilots that regularly fly in that Corridor that also use flight simulators at home, and looked at their data, and not one of them had any flight path that had closely resembled MH370 as did Shah’s. Wouldn’t a statistical probability be able to be determined if that was the case. If there was even one or two other Pilots that had more or less the exact same path or turn back down the Malacca Strait then it would make the argument null and void I suppose. However if it was only Shaw’s flightsim that as closely resembled the MH370 path. Would that not at least give some statistical probability or circumstantial evidence. Not the kind that would hold up in court. But there would be some determinable probability that would arise had his flight Sim being the only one out of a measurable number of other Pilots, that had that path. Of course this doesn’t find the plane. Of course this relies on the accuracy of what was presented to the public regarding the flight Sim. So of course there are all kinds of variables. But to simplify it down to that one basic question. If nobody else had a similar flightpath amongst the potential thousands of flight paths between the pilot sample pool. Then that would to me at least, raise the probability much higher that it would be an unlikely coincidence. This exact point may have already been covered. I don’t know if this idea was pursued and written about on this blog already. My apologies if so. Thank you. First of all, the Z flight sim data is only partially recovered, but the SIO flight shows a take-off from KLIA possibly heading to Jeddah starting out over the Malacca straits. So we do NOT have a U-turn at IGARI. We do have a FMT (turn south) at a point near DOTEN. A few pilots use home flight simulators but I do not think very many pilots do, so the sample size would be small. So you would probably have to say, among all flight sim hobbyists, it there anything like this? In general flying to Antarctica is probably a common flight sim activity for beginners. But the context of the Z flight sim seems to be diverting to SIO from a path he tended to fly (to Jeddah). I am not sure what you mean. The flight sim data of course has the 20 deg turn in progress near DOTEN. @TBill: We have no way of knowing what simulations were done between 10N and 45S. The “FMT (turn south) at a point near DOTEN. “ is just an assumption. We do know from the time stamps (all files were saved between 15:26 and 16:38) and the fuel used that the simulation did not cover 10N to 45S. Very well put. The pleasure is all mine – I’m equally grateful for our constructive and informative exchange of ideas. My philosophy is that the best arguments carry the day. And today you and Gysbreght put forward very convincing arguments. Factual debates have merit, even when a plurality of opinions remain and all the more so when reaching consensus. I’m looking forward to other exchanges of ideas on occasion. @buyerninety: Thank you for your post of March 31, 2018 at 2:07 PM. I’ve shared your query since learning of Z’s elaborate video game toy. How many commercial pilots who own a simulator use it on occasion to run cockamaime scenario flights, just for kicks. …or forget the thing is on and go watch a ballgame, cut the grass, fall asleep or whatever. Who knows! Though I support SIO theories, I don’t put any weight on Z’s sim data. I feel all-things re: Z’s sim data are a distraction rather than a value-added to this investigation. the ‘Recovered part’ and ‘MAB Stencil’ (provided as an example of what it should look like) don’t even match?! The ‘Royce’ on the ‘Recovered part’ is much larger than the MAB example, takes up much more space and thus appears closer to the left edge of the black square? If this purported debris really is from MH370, then the ‘MAB example’ in the report surely cannot be?! Which begs the question how many different versions of their own stencil did MAB end up creating? Or is the simpler explanation that this ‘debris stencil’ is a poor attempt at copying a MAB stencil (which in itself is a copy of the RR stencil)?